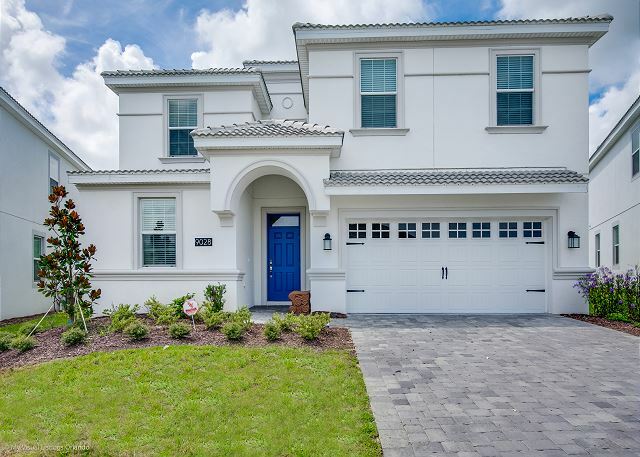 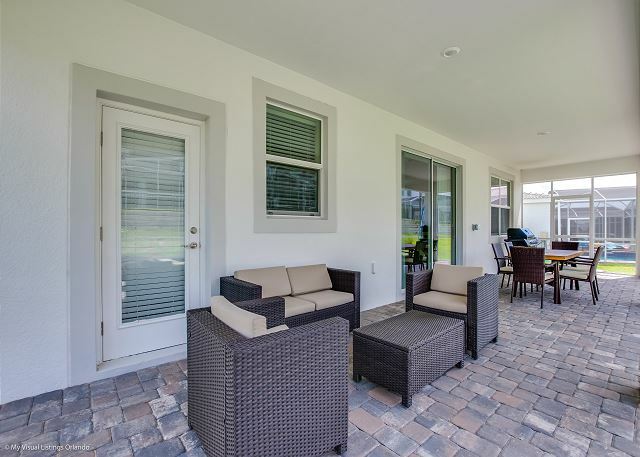 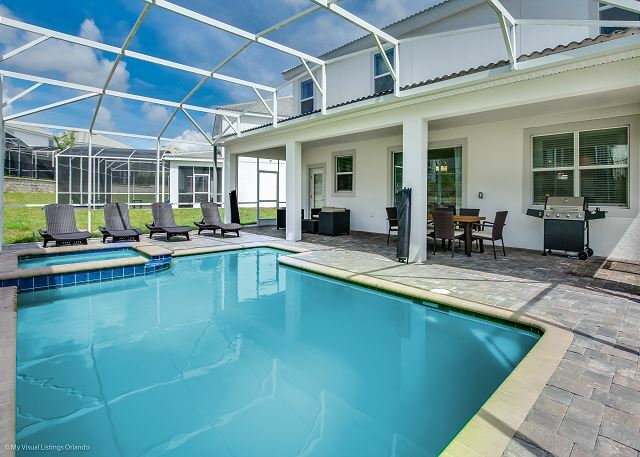 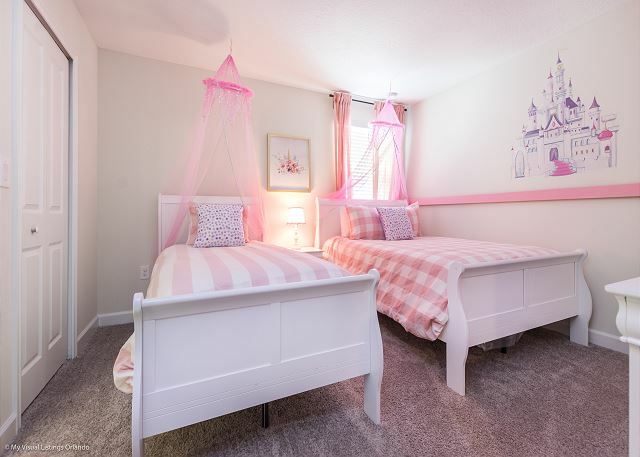 Your family will have plenty of space to relax and enjoy this 9 bedrooms and 5 bathrooms beautifully decorated single home, just as a vacation should be! 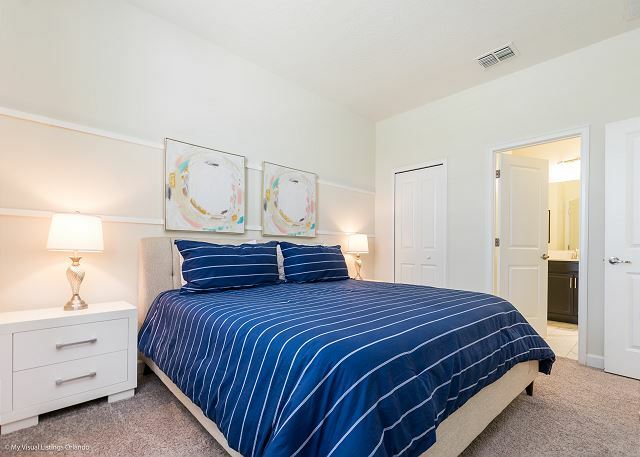 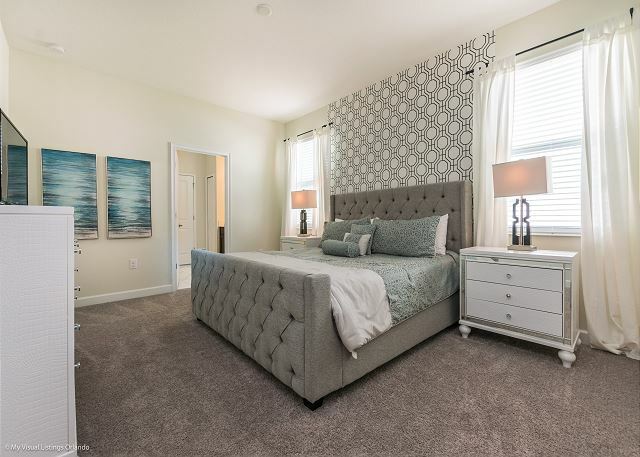 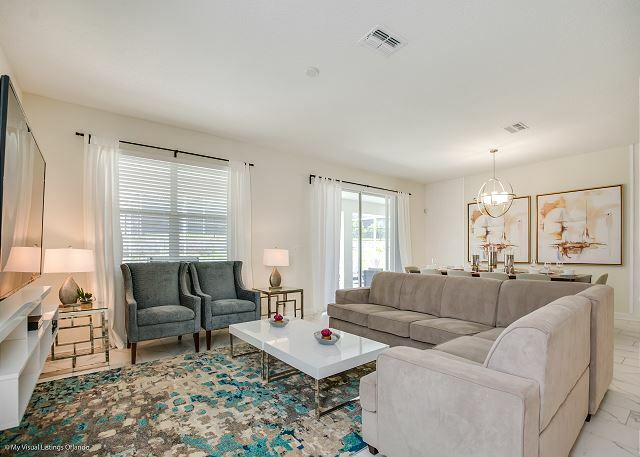 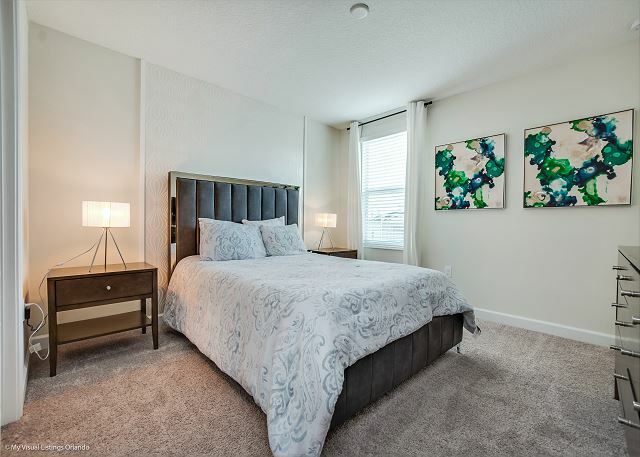 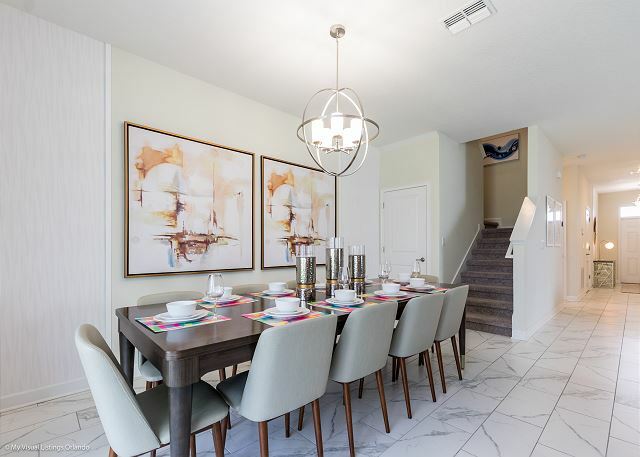 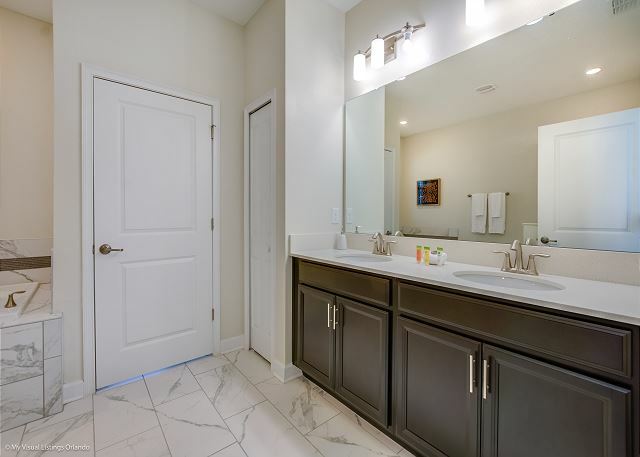 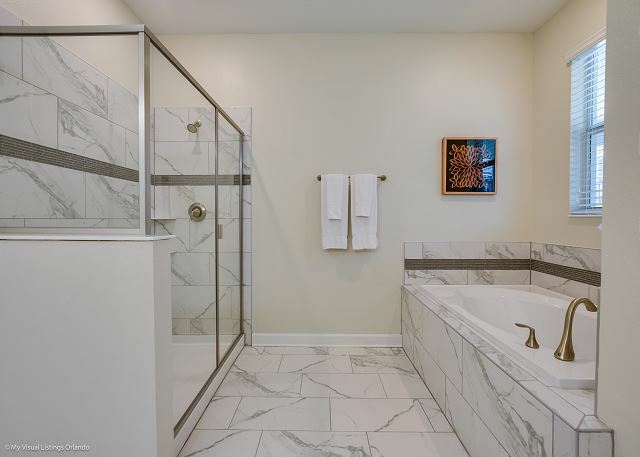 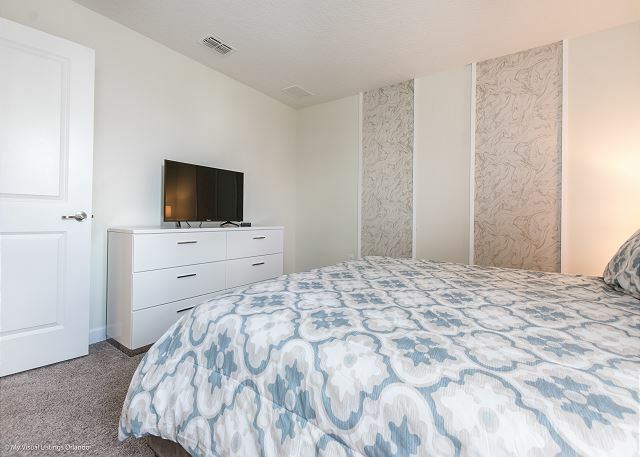 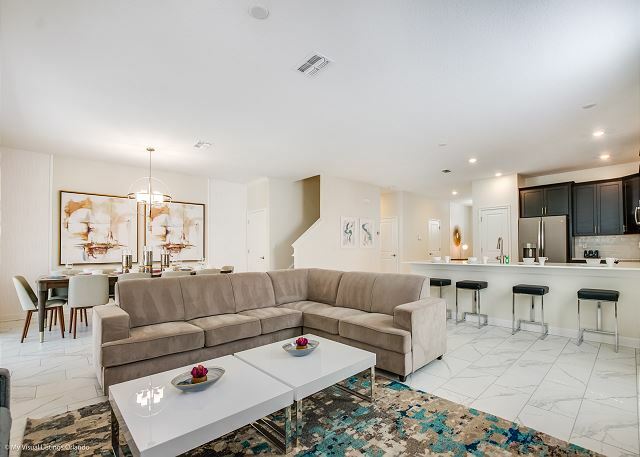 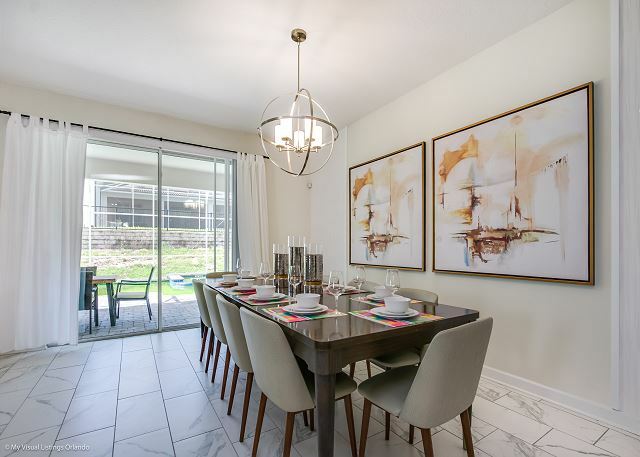 The first floor offers two bedrooms with en-suite, a living room equipped with 65" TV, dining table for 10 people, breakfast bar, fully equipped gourmet kitchen with stainless-steel appliances and granite counter tops. 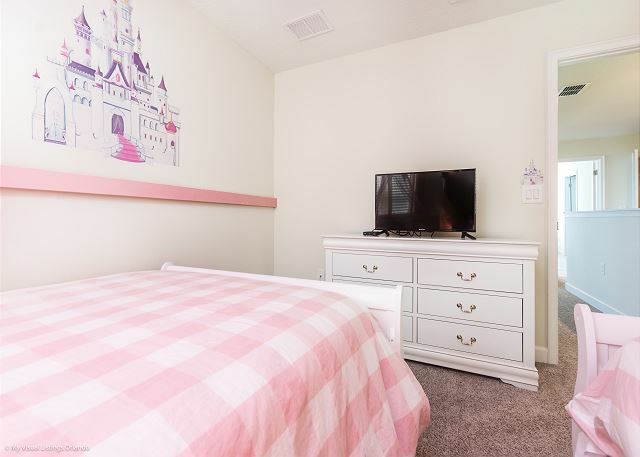 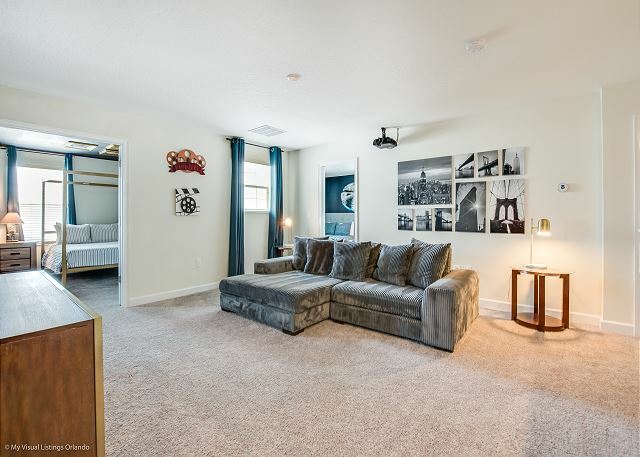 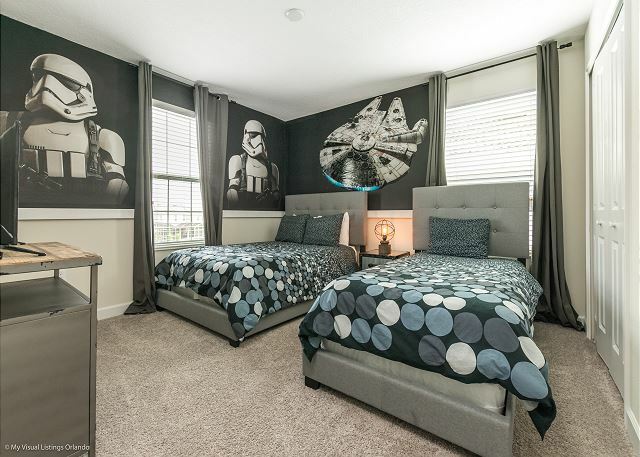 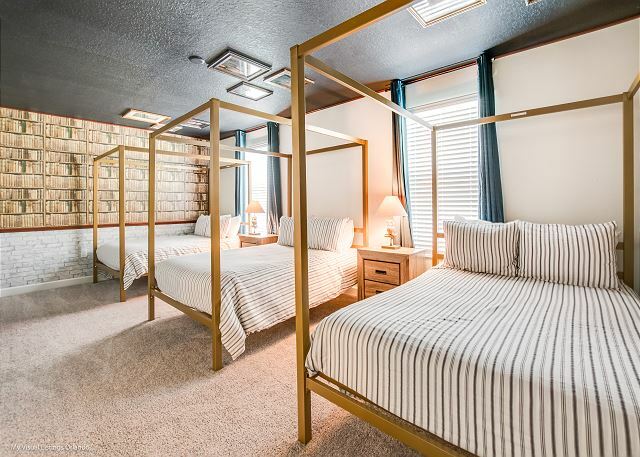 The second floor offers a loft area and 7 additional bedrooms, 3 of them designed for teens and little ones - Happy Potter, Star Wars and a Princess themed bedroom. 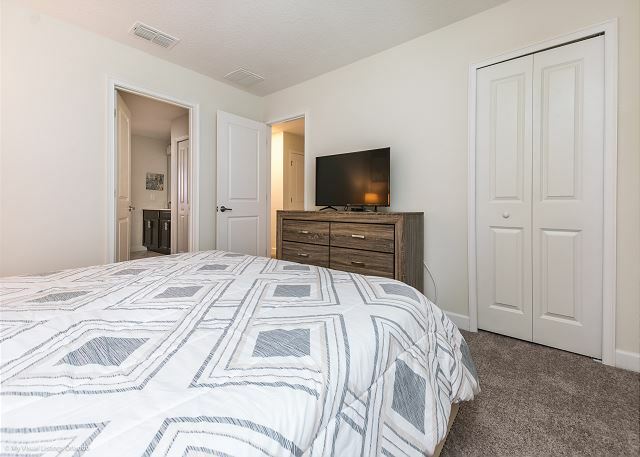 Every bedroom has its own TV. 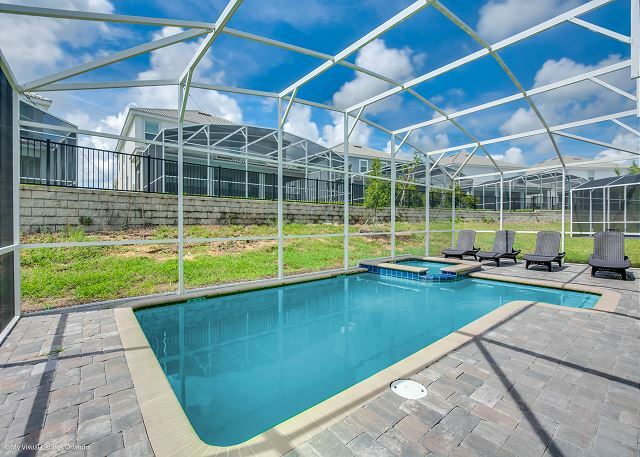 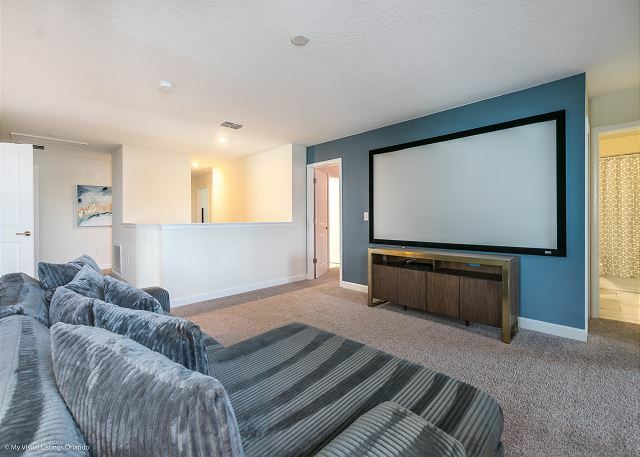 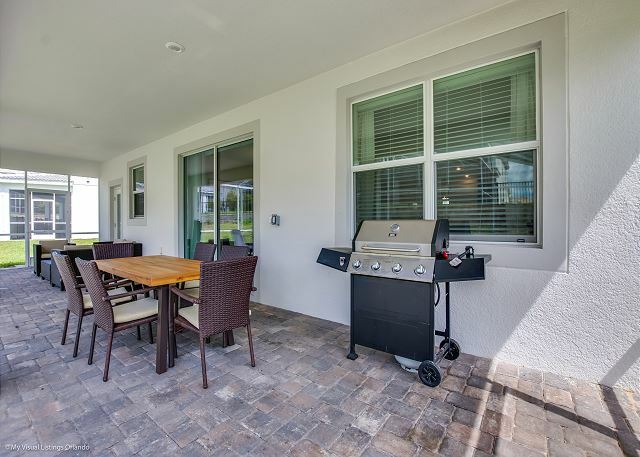 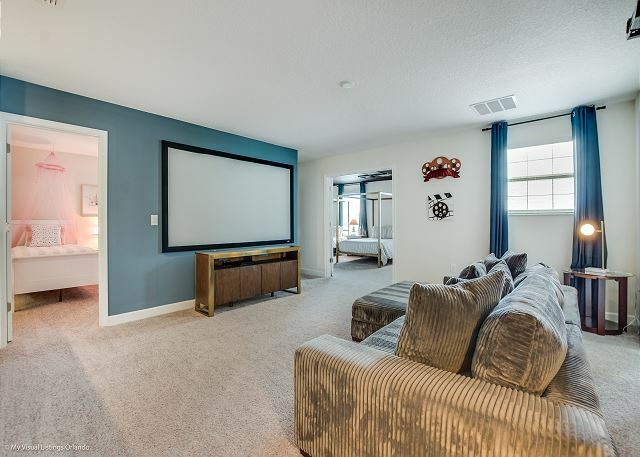 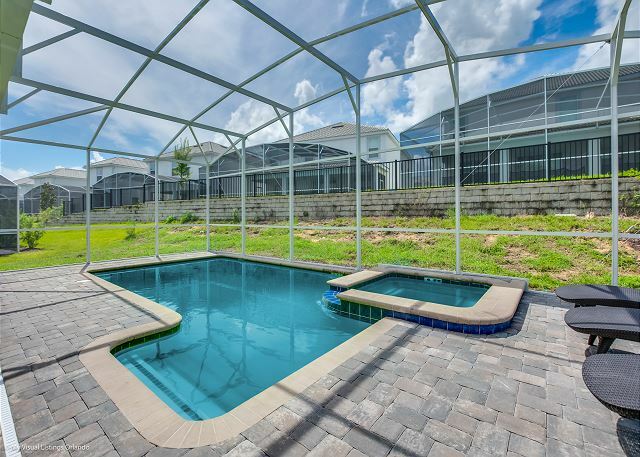 The outside area features a swimming pool and lounger chairs and a extraordinary game room Justice League themed with game console, pro gaming chairs, pool and air hockey table. 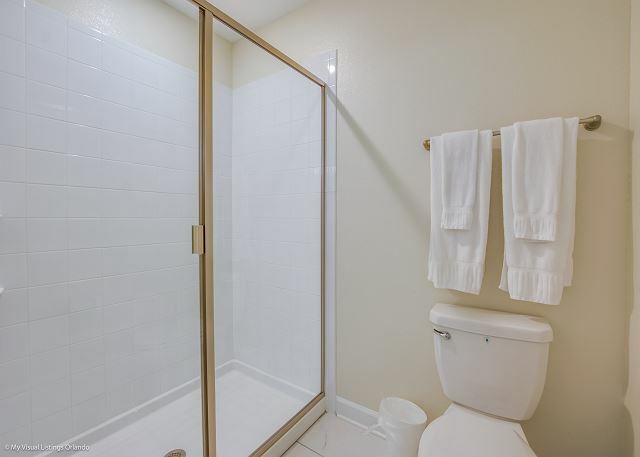 This vacation home is also equipped with a full size washer and dryer so you can pack light! 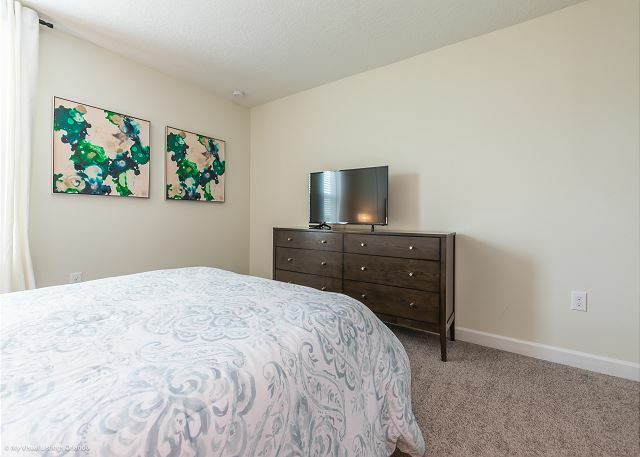 "The home was outstanding comfortable, beautiful & clean. 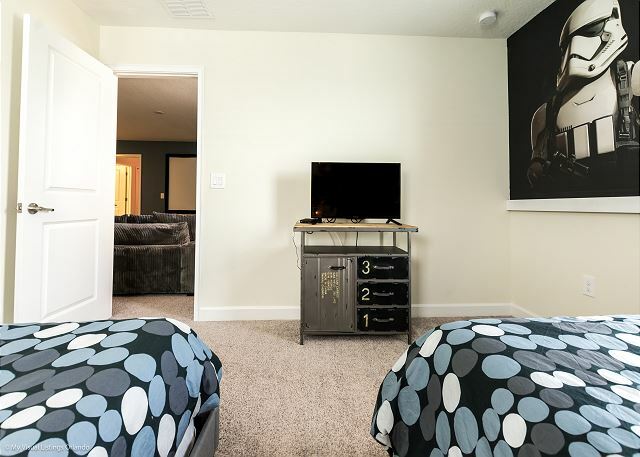 My family was amazed the community was quiet and beautiful as well we loved everything."